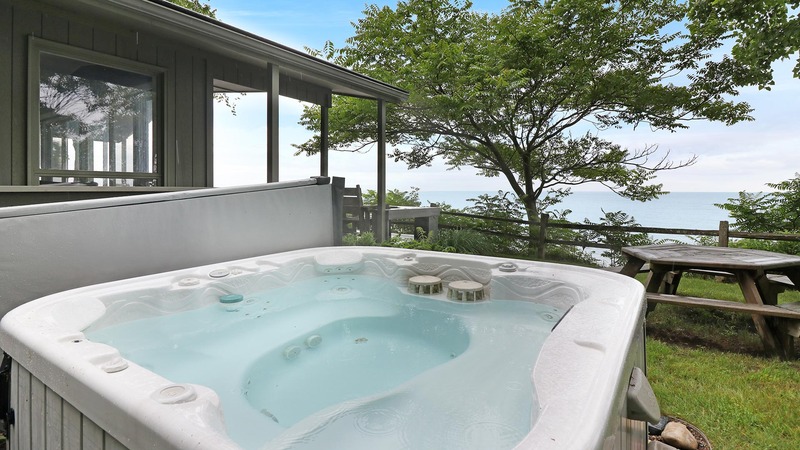 Enjoy a hot tub soak with a view. 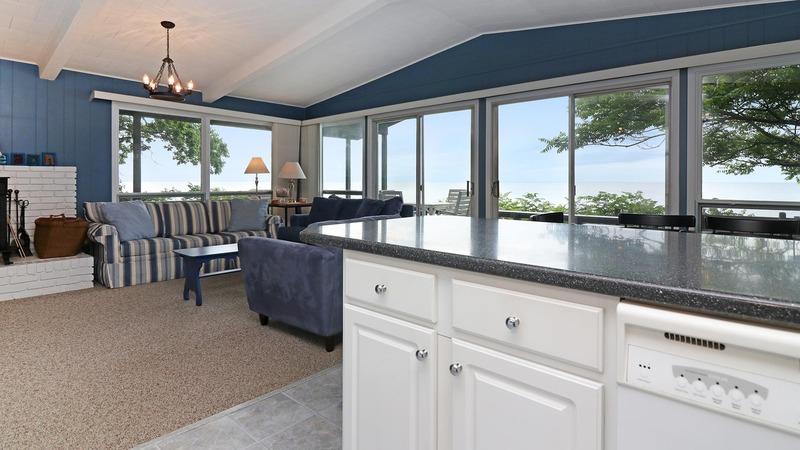 Bluffs Cove features stunning, uninhibited lake views. Watch movies on the satellite TV. The living room connects with dining room and kitchen. Everyone at the dinner table gets a great view of the lake. Another view of the open kitchen, living room, and dining area. Large glass sliding doors let in the lake views. 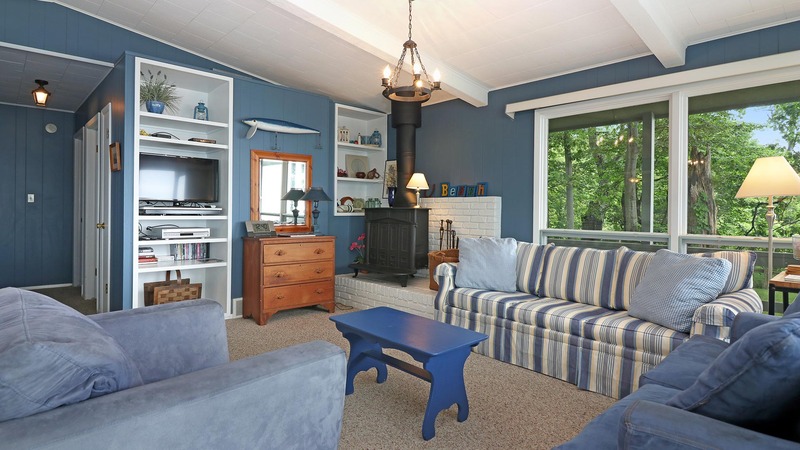 Be completely enveloped in a gorgeous lake view. 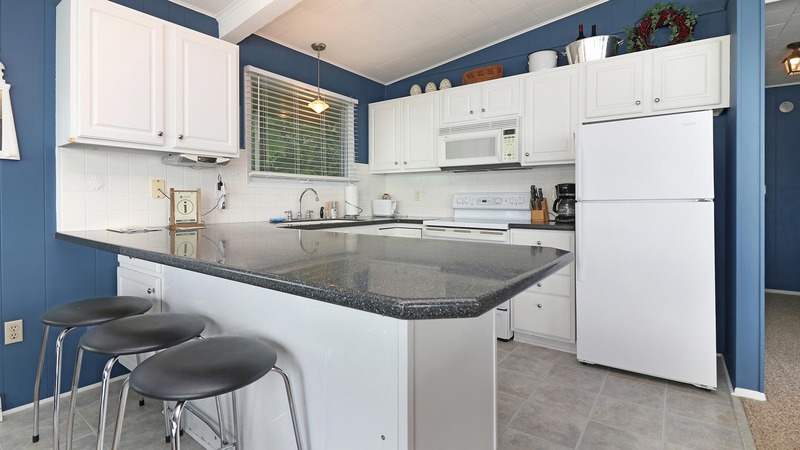 The kitchen features a breakfast bar with additional seating. 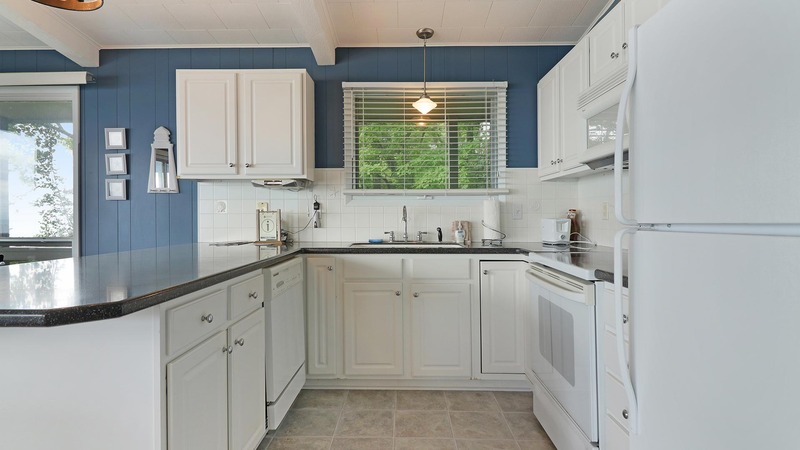 The fully equipped kitchen has everything you need. 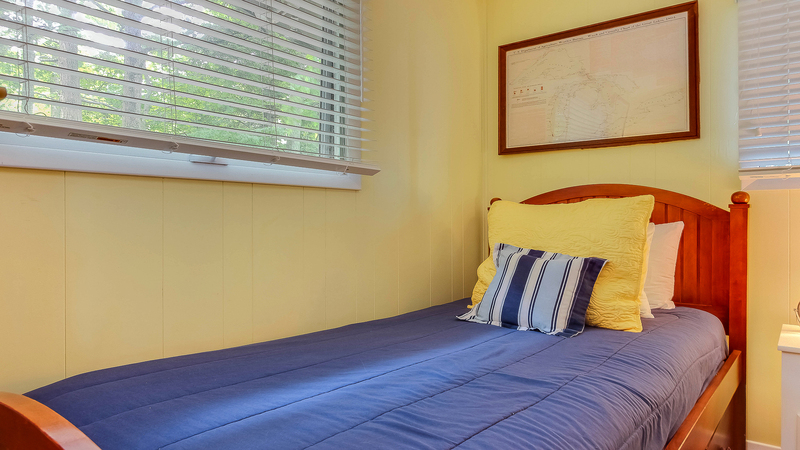 That classic Lake Michigan cottage vibe pervades the bedrooms. 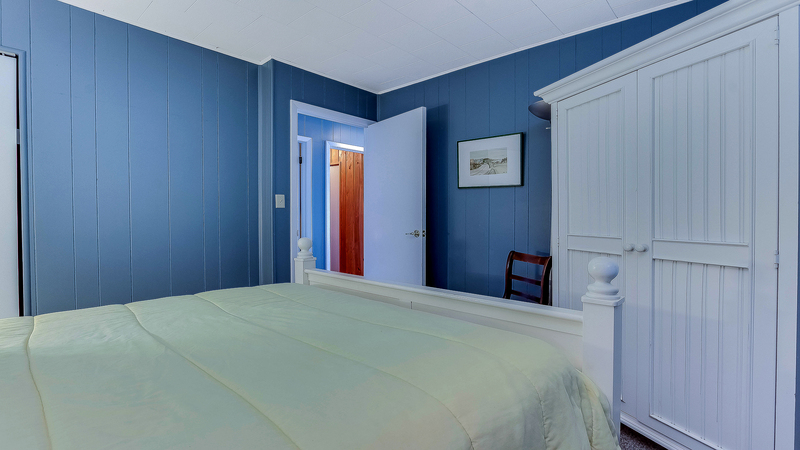 Across the hall is the guest bedroom with four twin beds. 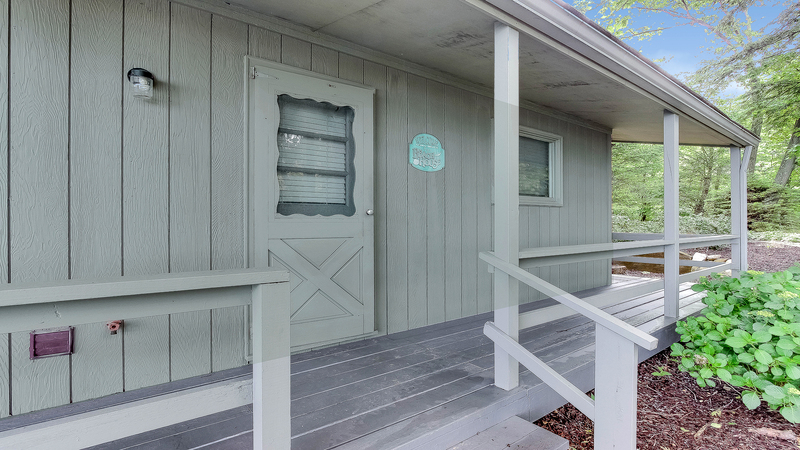 The home features driftwood-style exteriors and a large deck. Kick back with a book and a view on the deck. Play cards and watch the sunset. 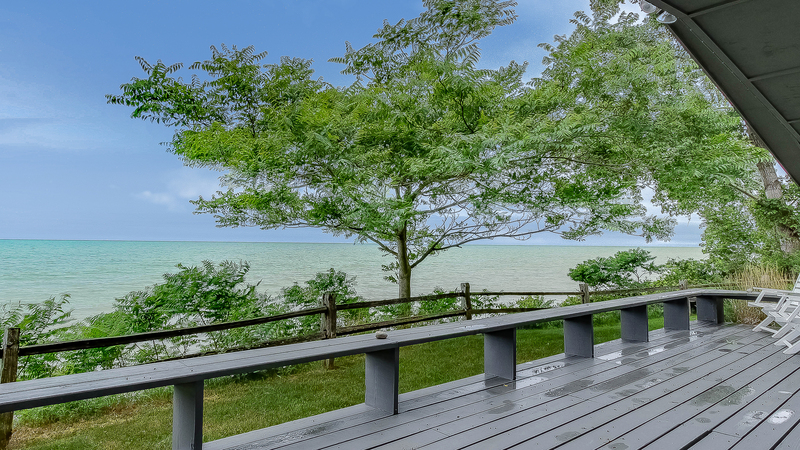 There is nothing more refreshing than a Lake Michigan breeze. Roast s'mores and stargaze around the fire pit. The wrap-around deck offers plenty of space to get fresh air. 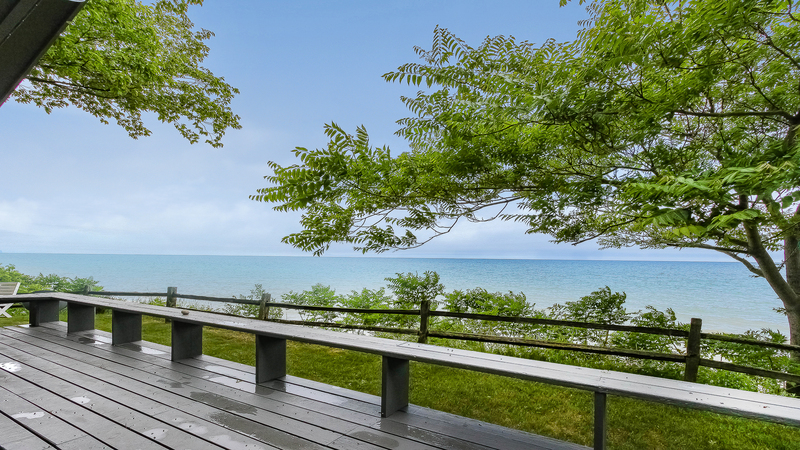 Views of Lake Michigan greet you as soon as you drive in. A small side yard borders the bluff. 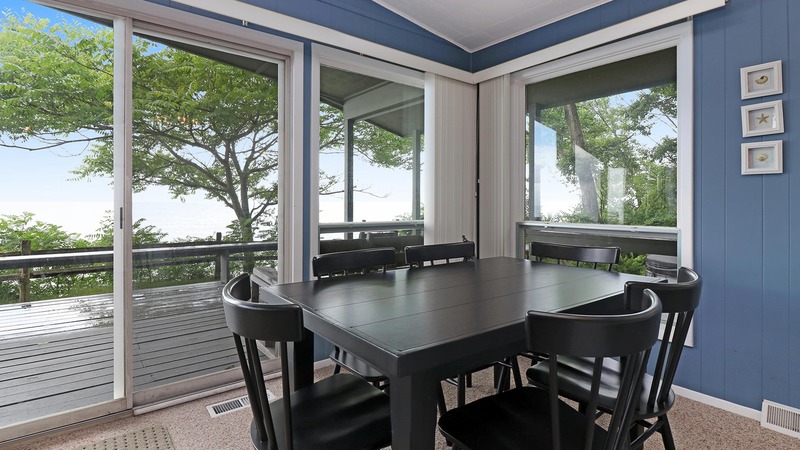 In this quaint two-bedroom cottage atop a bluff, you'll scarcely be able to escape the stunning Lake Michigan views that surround it. 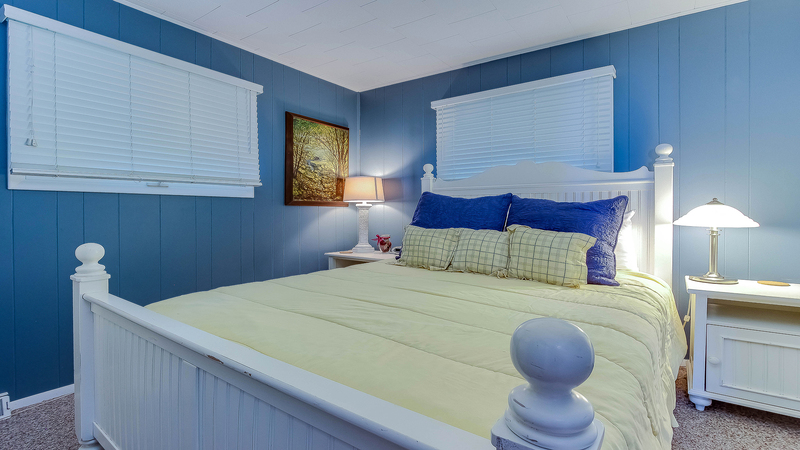 Popular with small families and couples, Bluff's Cove sleeps up to six. Convene in the open living area, where the living room meets the dining room and kitchen. 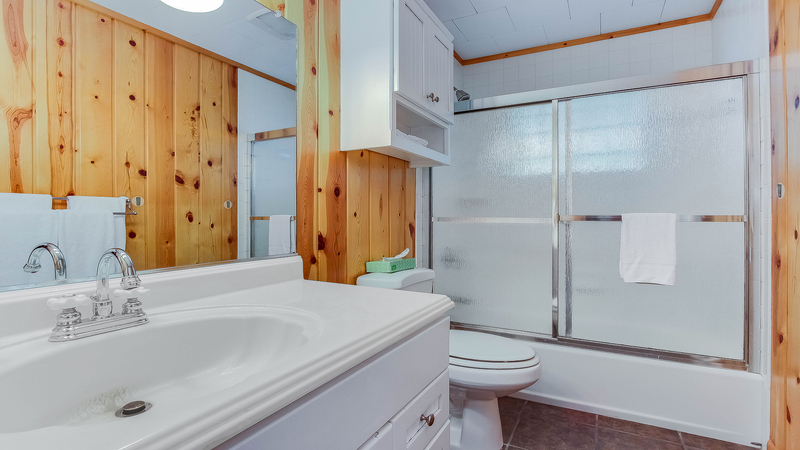 Enjoy a bonfire in the side yard, watch an immaculate sunset on the wraparound deck, or stargaze in the hot tub. 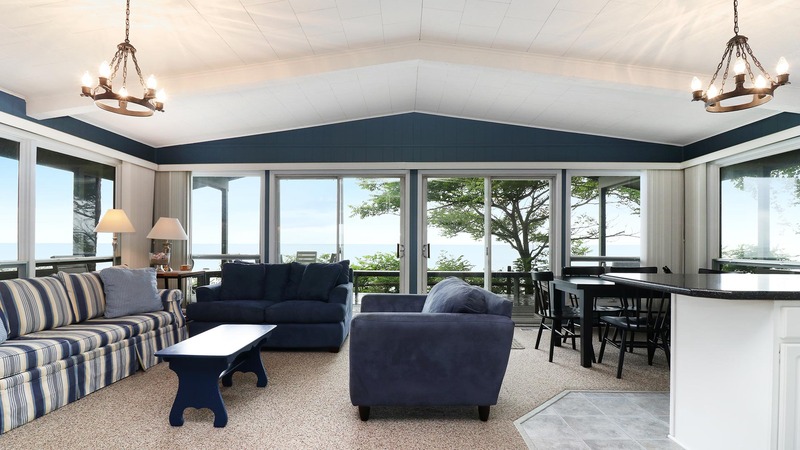 This lakeshore cottage rental is a great getaway at all times of year, whether you're taking advantage of the refreshing summer lake breeze, hunkering down for a cozy fall colors trip, or listening to the powerful waves crash in winter. 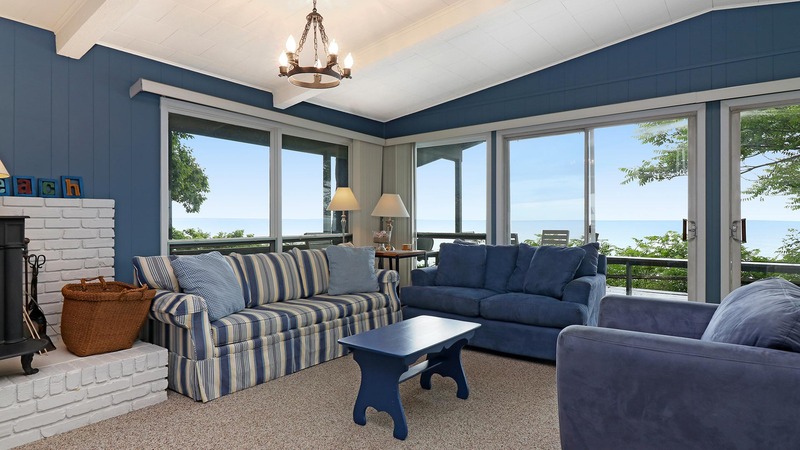 Beach Update: This lakeside spot has incredible views to be enjoyed from inside the rental home or on the bluff's edge. The beach is inaccessible due to high water levels and bluff erosion. But those factors don't interfere with the meditative benefits of being by the lakeshore, feeling the lake breeze, and hearing the sound of the waves from atop the bluff.